If you have a young child and you're bored with cutesy, preppy kids clothing - this brand is for you. 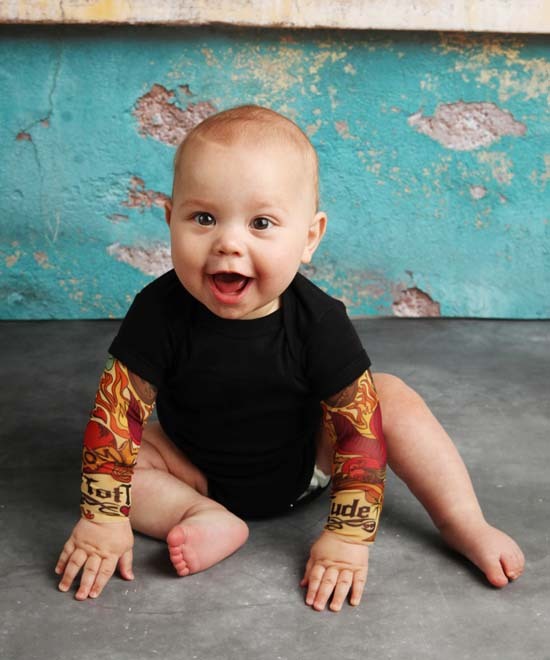 A mother of four has created a line of clothing for tots with an attitude, called TotTude. 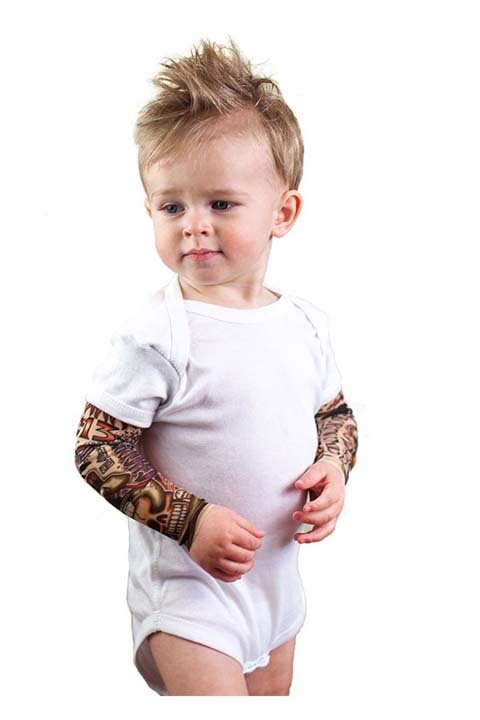 The clothing line features real inked "sleeves" for babies and toddlers. A mother-of-four, known only as Tera, created TotTude. "I was a baby and children's photographer for 10 years, and during that time I had a lot of little boys come in and their mothers would always complain that there wasn't any unique clothing options for them," said Tera. Her solution? 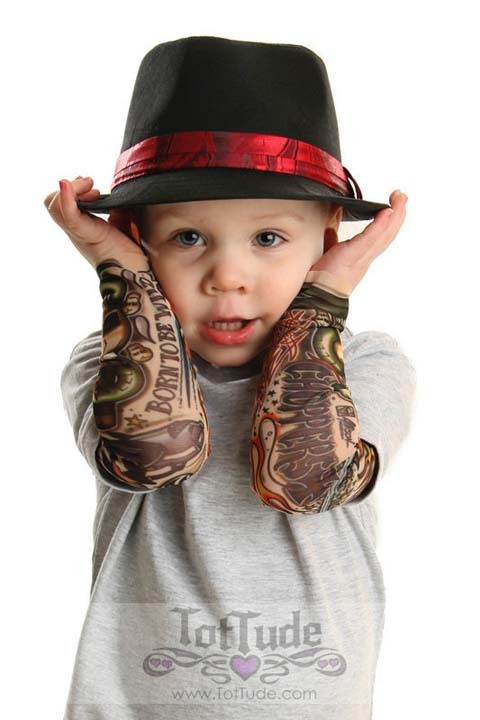 Create fake inked arms to give toddlers a little extra edge. 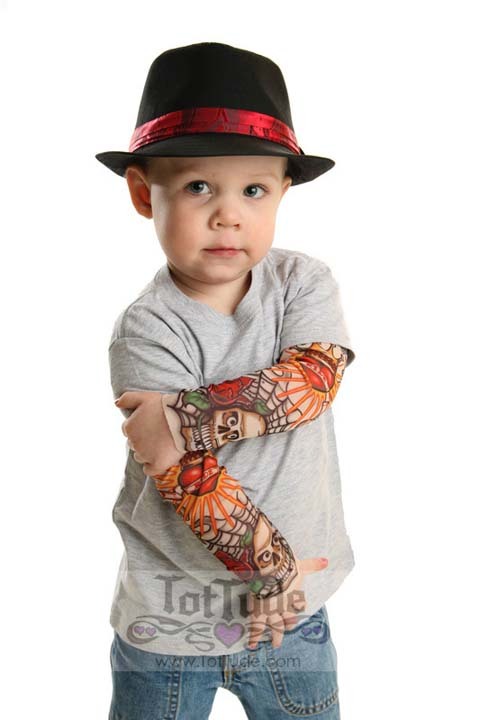 "So I came up with the idea of the tattoo sleeves on t shirts, made a few to test out, and started selling them online and it's grown ever since," said Tera. Her sleeve designs include features like hearts, flames, skulls, barbed wire and tribal tattoos, and she also sells do-rags, bandanas and Mohawk hoodies.